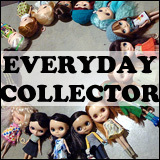 The doll hobby was a lot more expensive than I had originally expected when I got my first Blythe back in 2009. Just a Blythe costs a hundred dollars (or more). Clothes, well, those add up. A few dollars here, twenty dollars there, some people have piles and piles of dresses that cost them $20 each – maybe not me, but some people do. That’s… a lot of money. Even buying as frugally as possible (only during some sundries sales, only on things that are ‘special’ enough to be bought or things that I can’t make), the hobby is expensive. And while I may have spent more money on dolls than clothes, it all still adds up when you consider the need to buy things to create with. Even if you were to make everything yourself, there’s the cost of thread, fabric, a sewing machine, shoes (unless you can make shoes yourself, in which case I think you’re awesome), yarn, knitting needles, crochet hooks and all those little accessories. There’s so much money that goes into this hobby that makes it expensive to make things, expensive to buy things, and all those shipping costs? It all adds up, at the end of the day. But it’s just money, at the end of the day. There’s so much more than you gain from the hobby, even without expecting it. Some people learn how to sew, crochet, knit. Some people learn how to turn any Blythe into a work of art. Some people restore vintage beauties to their former glory. And, it seems like everyone does this, we all make friends. 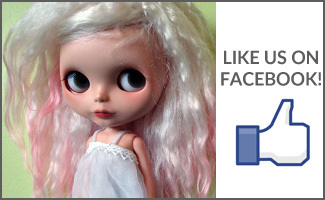 We may not have very much in common, we may not even have the same taste in doll clothes, but we all love Blythe. We all find a little something in common with each other – a doll with a big head, an even bigger ego and four set of eye chips. 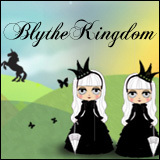 What have you gained from the Blythe hobby? This is true! We spend a lot of money with clothes, dollies and shoes! Sometimes I leave to buy clothes/shoes for me to buy for them!